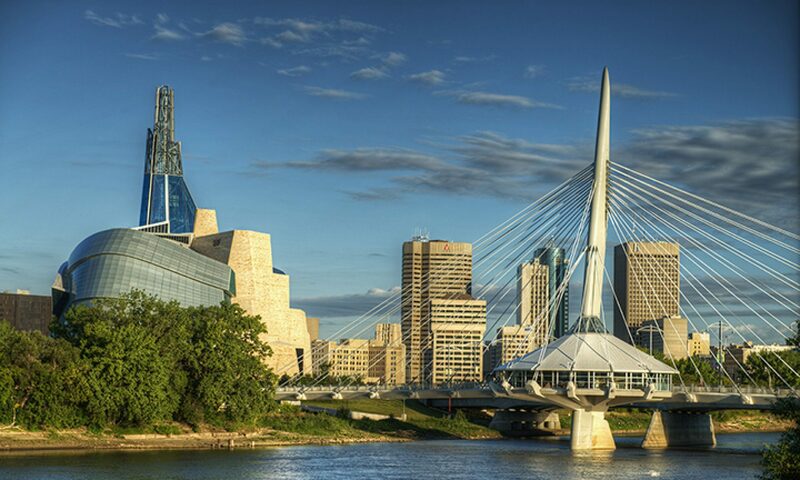 Using the city as our human rights campus, this course is offered from August 7 – 17, 2018 in a learning partnership with the Canadian Museum for Human Rights (Museum), with some scholarship support from Rotary 5550 World Peace Partners. Some classes are in the museum with lectures by CMHR experts and other guest faculty. The progression of topics in the course and video essay assignments parallel galleries in the Museum. Classes in this intensive course start in our ‘home room’ at Global College, which is co-located with Menno Simons College at 520 Portage Avenue. As a field course, classes are also held in several locations – using the city as our human rights campus. For example, the first evening features the “class on the bus”– with a progressive dinner at Folklorama pavilions, setting the whole course in a multicultural context . Because this is such an intensive course of full days, refreshments are provided in class. Students are supported in their learning by interns dedicated to the course through the generosity of the Canadian Museum for Human Rights and the Winnipeg Foundation. As well, some financial awards are available to some students who request financial support through bursaries provided by Rotary 5550 World Peace Partners. PLEASE NOTE: these financial awards are processed ONLY upon successful COMPLETION of this course, and there are no exceptions to this rule.